Do you know who the Sumerians were? According to historians, Sumerians were one of the oldest civilizations. If you want to know about aliens then you must know about Sumerians. Do Sumerians have any relevancy with aliens? Were they alien agents who spread the mankind in the entire world? There are different opinions about Sumerians existence. Some consider them alien agents whereas others consider them alien slaves. Sumerians established themselves in Mesopotamia. In today’s world, Mesopotamia is the part of Iraq. Iraq is known as one of the ancient civilizations which explain that the Sumerians did exist once in this part of the world. According to researchers and historians, Sumerians were created by aliens rather than God. Do you know who Annunaki were? Annunaki are one of the alien types. It is believed that Annunaki created Sumerians in order to make them slaves. Why aliens needed slaves? According to the texts and images found from the Sumerian civilization, we are able to conclude that aliens engineered Sumerians in order to mine the gold. Annunaki required plenty of workers which is why they engineered Sumerians to help them mine the gold. Who were Annunaki? Annunaki are those aliens who are believed to live on stars. The story is backed by plenty of evidence from the texts and images found from the lost Sumerian civilization in Mesopotamia. What else do we know about Sumerians? Did they have any other relevancy with the aliens? Yes, Sumerians had a lot to do with aliens. They were guided by the aliens and it allowed them to settle in the land of Mesopotamia. We know for a fact that ancient people kept migrating from one place to other in order to cultivate land and eat food. Sumerians were different from all the ancient civilizations. 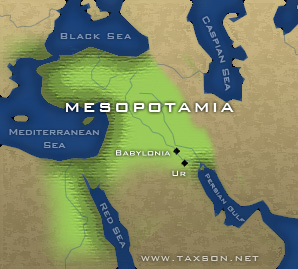 They were able to settle in the land of Mesopotamia by implementing fine irrigation and cultivation techniques which helped them develop the area just like we do it in the modern era. How did Sumerians know about the modern day irrigation and cultivation techniques? Aliens might have guided them on how to settle in one place. Sitchin is a famous researcher who likes to explore the ancient civilizations. He presented many theories about the Sumerians in his book The 12th Planet. According to Sitchin, Sumerians invented wheel, irrigation system and furnace. They knew the basic concepts of astrology. Sitchin found a drawing made by Sumerians showing the solar system from the heaven. The drawing depicted 12 planets including sun and moon. The discoveries which have been made by us in the 20th century were all known to the Sumerians. In the modern era, we were able to identify the image and structure of Uranus and Neptune. The drawing by the Sumerians depicted the exact same color and structure of these two planets while showing our planet in the exact position as we have discovered it in the 20th century. Did aliens give all this knowledge to the Sumerians? ← Miracle of the Gods Reveal Alien Truths? Ok, So Who/What Built the Pyramids?